Oryana cooking classes are fun, informative, and full of great food! Whatever your level of expertise, you’ll always learn something new and exciting. We’ve earned a reputation for offering great instruction from our talented culinary experts and a diverse group of local chefs. Our classes fill up quickly so sign up early! See below for registration, pricing information, and learn about our instructors. Or visit our Events Page. Classes are open to everyone. Thinking about transitioning to a plant-based diet but not sure how to start? Join Chef Ali in learning the basics of plant-based eating, including how to get enough protein. It may seem daunting at first but Ali will guide you through some easy steps to take, like how to stock a vegan pantry and how to flavor food with spices and herbs. 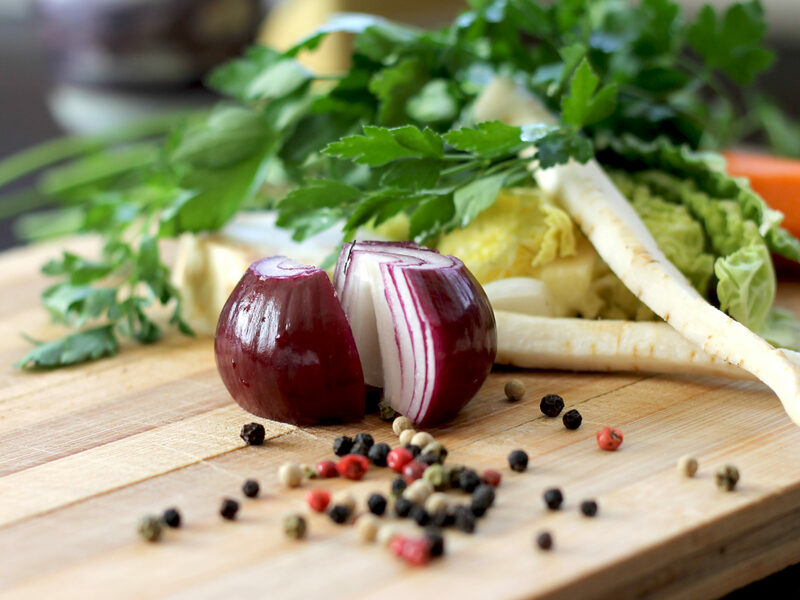 Learn basic knife skills and cooking techniques for vegetables. Ali will make 5 delicious recipes using 3-5 ingredients for breakfast, lunch and dinner. The class is mostly demonstration but there will be some hands-on. Recipes and handouts included. Sign up for one or both classes. 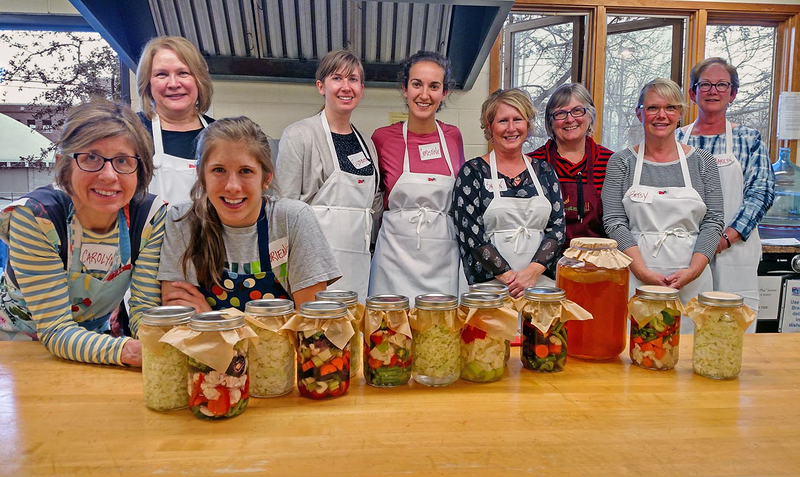 Learn how to make cultured and fermented foods that are nutrient-rich and full of gut-healthy probiotics with Oryana instructor Laura Cavender. You’ll make sauerkraut and lacto-fermented seasonal veggies. Love kombucha? Laura will also show you how easy it is to make your own kombucha. Take home a jar of sauerkraut and small kombucha scoby starter. Do you love Italian food but wish you could enjoy some of the classics without meat or dairy? Chef Ali came up with a lovely Italian menu suitable for vegans or anyone interested in plant-based eating. She will show you how to make Mushroom Pesto and White Bean Crostinis, a fresh Italian Chopped Salad, Pasta with Creamy Alfredo Sauce, Wild Mushroom Farro with Lemon and Artichokes, and to end the meal perfectly, a Polenta Berry Cobbler. Buon appetito! Location: Grace Episcopal Church located at 341 Washington Street in Traverse City. Parking: Park in the parking lot behind the church accessible via the alley and go directly to kitchen on the right side of the building. Class size: Cooking classes are limited to 10 people. A minimum of 6 people is needed to hold each class. Register for classes at the Oryana Customer Service desk or call 231-947-0191. You can also register online at eventbrite. Children: Children 12 and older may register for a class if accompanied by a parent or guardian. (Both child and parent will need to pay for the class.) Please do not bring your young children to a class. What to wear: For hands-on cooking classes, please wear comfortable clothes, closed toe shoes, and tie your hair back. Please do not wear perfume or scented products. What to bring: For hands-on cooking classes, please bring a hat to wear. Aprons and knives will be provided but you may bring your own. You may also bring food containers in case there are leftovers. Cancellation Policy: No refunds or credits will be given for a cancellation made less than 24 hours before the class. Oryana will refund your payment, in full, for cancellations made up to 24 hours before the class. Allergy Note: Cooking class kitchen facilities are not allergy-friendly. We do our best to ensure cleanliness but cannot guarantee absence of allergens. Laura Cavender has adventured around the world while cooking, reading and learning. After about 8 years sailing as a ship’s cook, she settled in the Traverse City area and joined the staff with Oryana; she enjoys actively engaging people in a positive food experience. Laura is especially dialed in to restoring the fun, art, and wonder in the experience of cooking. Laura is committed to reclaiming a healthful connection between growing and cooking food and nourishing our bodies. Ali Lopez is a wellness chef and health coach. She has been cooking, feeding and teaching others about “real food” for over 20 years, She was Chef de Cuisine at the Omega Institute in Rhinebeck NY, one of the largest vegetarian kitchens in North America. Ali is also a Certified Health Coach, a graduate of the Institute for Integrative Nutrition.